Private party DJ's for all types of events. Our helpful staff is available 24 hours a day, 7 days a week to answer all of your questions. We're looking forward to working with you. Our DJ's will motivate your guests, getting them up dancing and having a great time! They will emcee, announce, coordinate, play music and do lots of fun things to make your party a success!!! Section for Night Club and Bar Owners, managers and entertainment coordinators / bookers. 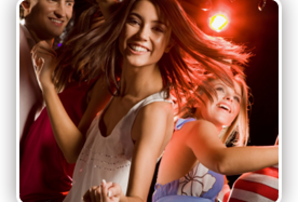 We offer a broad range of services for night clubs and bars of all kinds and sizes. To include but not limited to sound, lighting, DJ's, emcees and event coordinators. We are fully committed to providing you with the DJ entertainment package that will exceed your expectations.